Spring break is just around the corner and you’ve been dreaming of getting away to your favorite camping spot with the family. 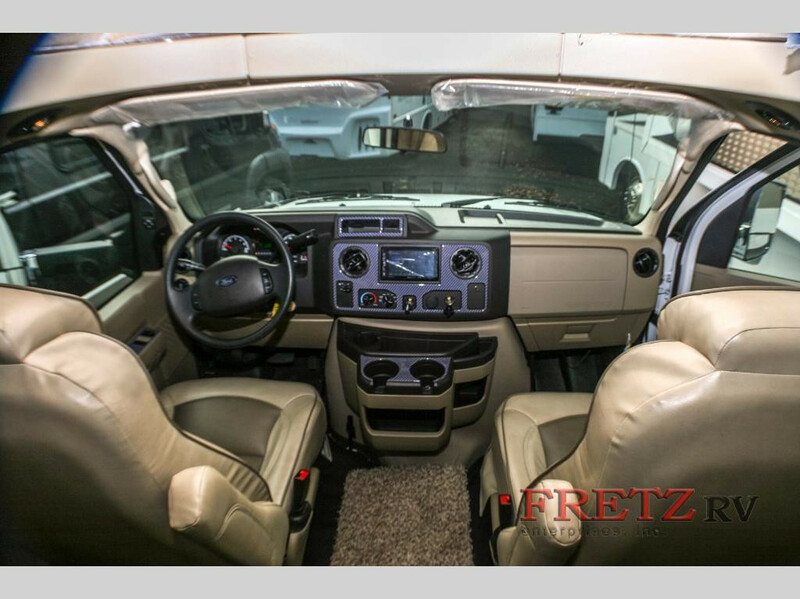 With the Jayco Greyhawk class C motorhome for sale from Fretz RV you’ll have all the space you need for all the kids and even a few friends who want to tag along for a week of fun! This Jayco Greyhawk class C motorhome review will show you all the best ways that this RV can help you make the most of your vacations. 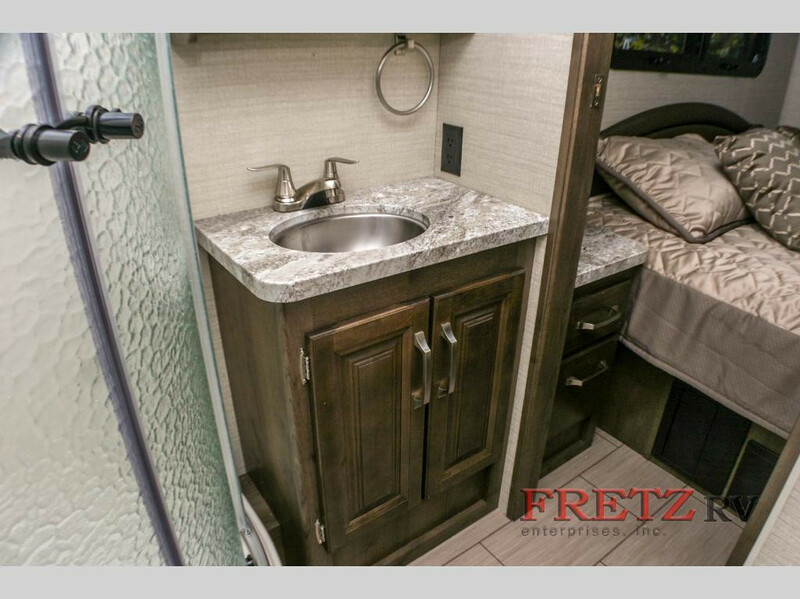 Find more incredible Jayco Greyhawk class C motorhome floorplans at Fretz RV. Imagine packing your family into your brand new Jayco Greyhawk and hitting the road towards your next adventure! 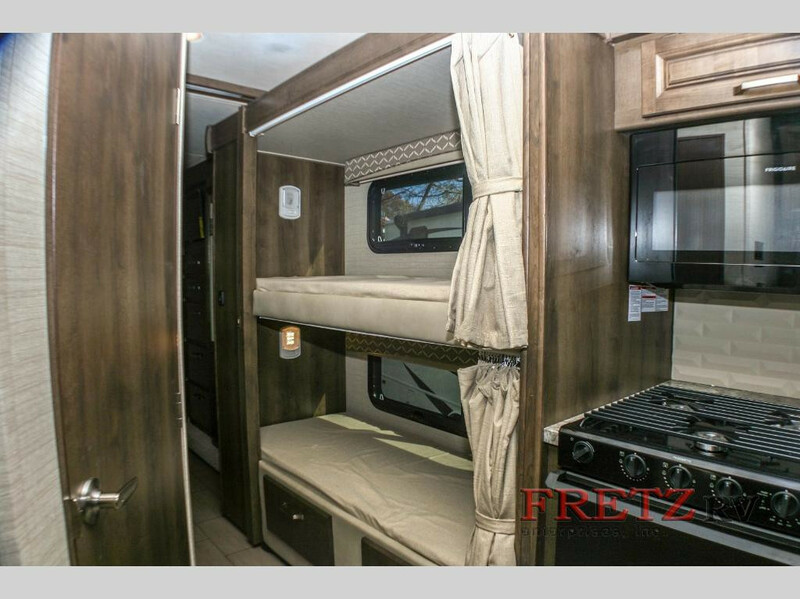 This motorhome sleeps up to eight and features a spacious set of bunk beds for the kids to enjoy. You’ll find an additional over-the-cab bunk if you need extra sleeping space for guests. This class C motorhome sleeps up to eight campers! You’ll love the luxurious master bedroom with a cozy queen bed and a dual entry bath, so that you won’t have to disturb the rest of the gang if you have to get up in the middle of the night. The bathroom also features a stainless steel sink, medicine cabinet, and ABS shower with one-piece, decorative surround. Enjoy your personal oasis in this spa-like bathroom. This Jayco Greyhawk features a Ford® E-450 chassis with a Triton® 6.8L EFI V-10 305 HP engine with 420 lb-ft torque. You’ll also find it has a 7,500-pound hitch with 750-lb tongue capacity and 7-pin plug, to help you tow an additional vehicle with you for easy travel at your new vacation spot! In addition to the powerful engine and towing capacity, you’ll find power anti-lock breaks with power steering to help make your journey a safe one. Drive in luxury wherever you go! Don’t waste another minute! 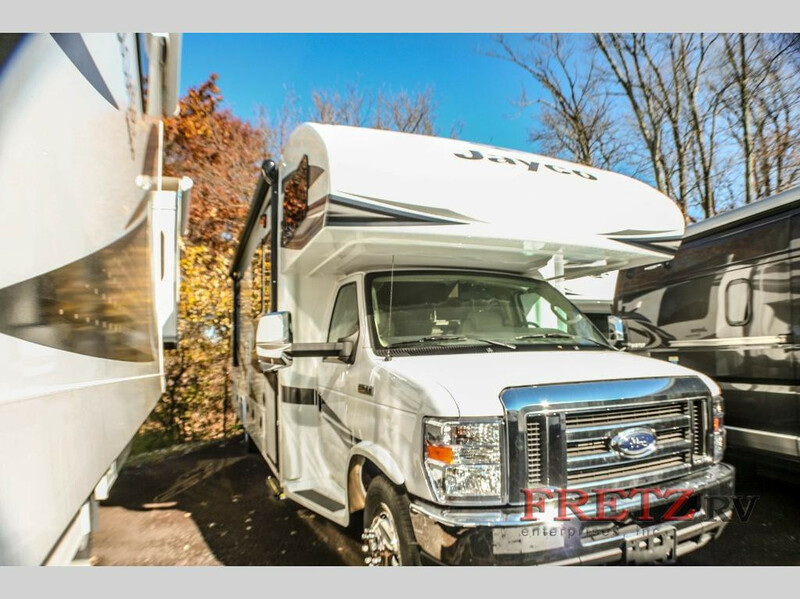 Contact us and drive home a Jayco Greyhawk class C motorhome today!